From June 7, 2019, American Airlines opens a new direct airline Miami> Cordoba, a golden opportunity to visit our Estancia El Colibri from the point of Florida! Departure from Miami at 22:45, arrival at Cordoba at 08:05 D + 1. Available Saturday, Sunday, Tuesday and Thursday. 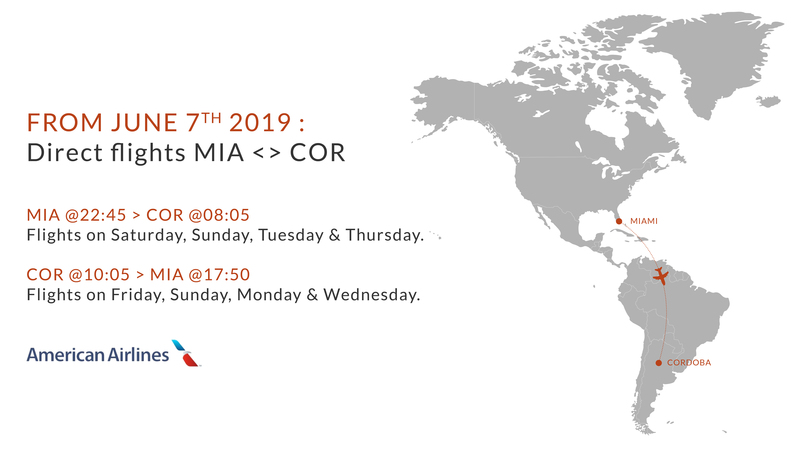 Departure from Cordoba at 10:05, arriving in Miami at 17:50. Available Friday, Sunday, Monday, Wednesday.